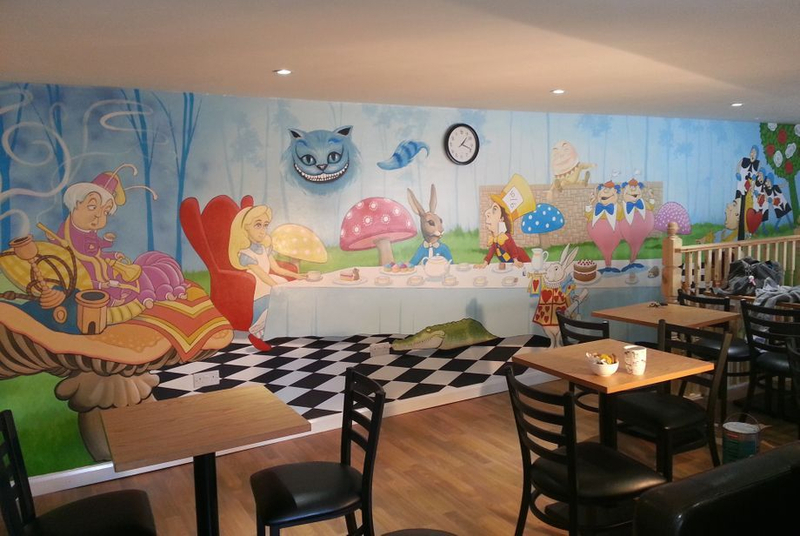 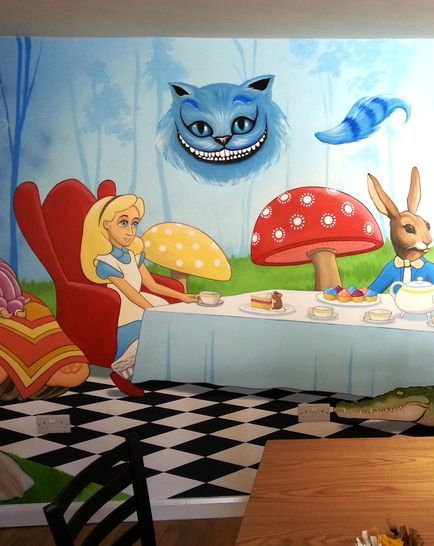 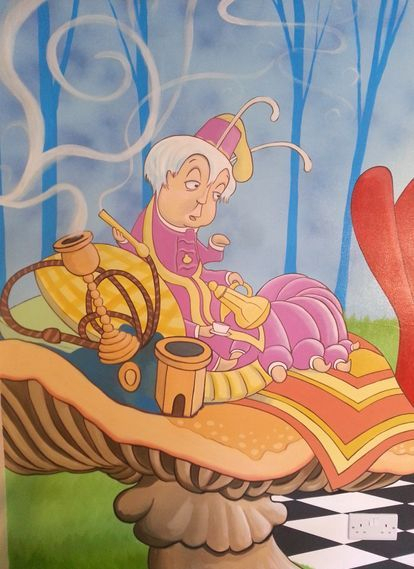 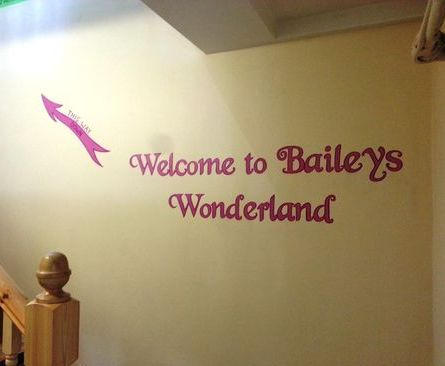 We had lots of fun painting this Alice in Wonderland themed mural for Baileys coffee shop in Sittingbourne High street. 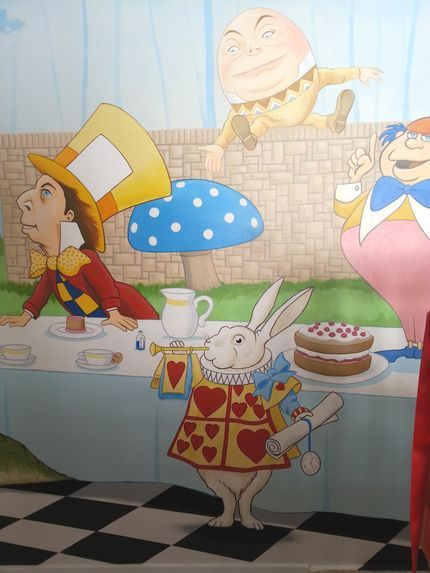 We included all of the main characters from the story, as well as adding a few that were specific to 'Baileys Wonderland' such as a crocodile, penguin and hedgehog. 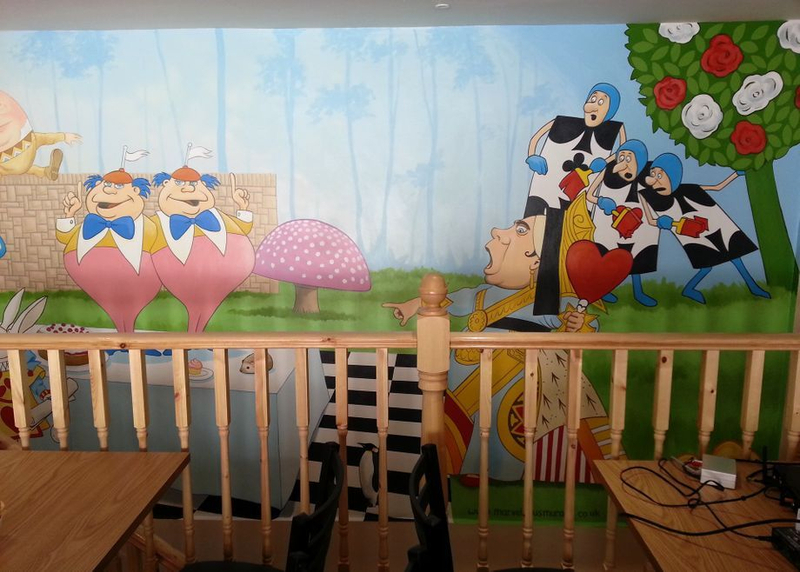 This took us two weeks to complete due to the amount of detail that went into the image.